I Finished The Quilt For The Craft Show! In the wee hours of morning I arose from my work bench triumphant! 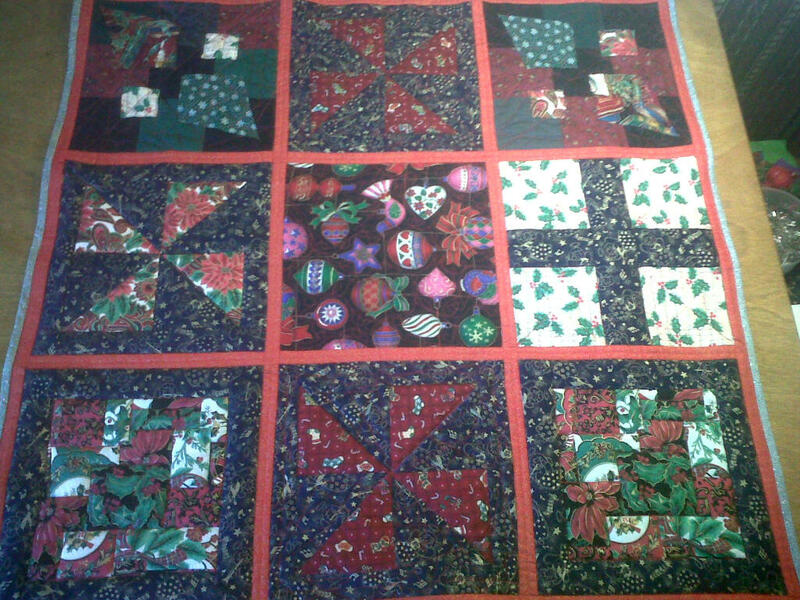 I finished the quilt and put the binding on it! I love it! I’m sad it is just a small sampler quilt for the craft shows I am going to be in, but I like it anyways! The quilting technique changes in almost every block just to show people what I can do, and how I can work with designs! It was my first stab at free motion quilting, and I liked the way it turned out! I hope everyone else likes it too! I was going to post it this morning, but I over slept and was almost late for work. Whoops! Follow the jump or more pictures!